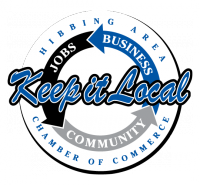 Join North St. Louis County Habitat for Humanity and the Hibbing Area Chamber of Commerce for Chamber Build Day 2018! Chamber Build is a program that encourages volunteers of all skill-levels to further the homebuilding mission of Habitat for Humanity. Lunch will be served 12:00 p.m. - 1:00 p.m. for both shifts.